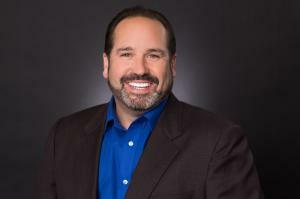 CHICAGO, USA, August 9, 2018 /EINPresswire.com/ — inRiver, the leading provider of SaaS product information management (PIM) solutions, today announced the appointment of Steve Gershik as Chief Marketing Officer. Gershik will lead the global marketing organization at inRiver and will help drive marketing innovation and growth as the company enters new geographies and markets to serve their growing customer base. Gershik has played integral roles in successful start-up organizations including Nuance Communications, Eloqua (today Oracle) where he is recognized as the co-creator of the world’s first demand generation-focused conference, DemandCon and the creator of Eloqua Experience and the Eloqua Markie marketing awards. Prior to joining inRiver, Gershik was Founder and Principal of Koyne Marketing, a customer marketing and advisory firm helping clients acquire, retain and growth their customer base. He also served as CMO and Chairman of 28 Marketing, a demand generation consultancy that focuses on helping companies optimize their sales and marketing processes. Moreover, Gershik has been Vice President of Marketing for SiriusDecisions, Vice President of Marketing Innovation at Eloqua and other B2B technology companies. Gershik is well-known in the marketing community, and was recently named one of the Top 50 Most Influential Leaders by the Sales Lead Management Association. Steve has spoken internationally and written extensively on marketing and demand generation for global audiences.